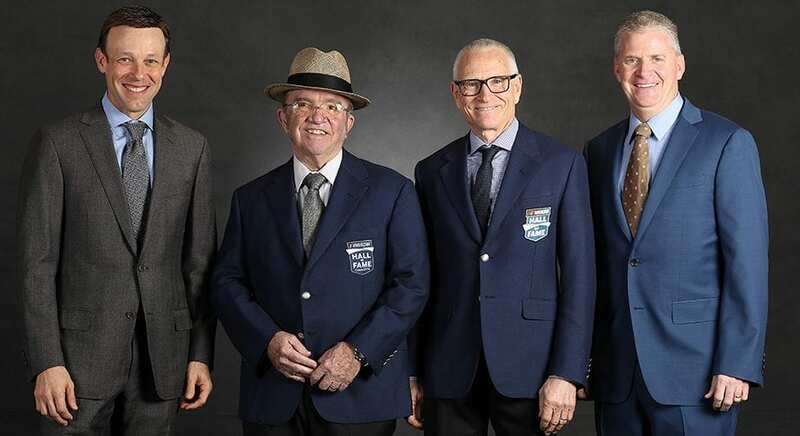 The NASCAR Hall of Fame Class of 2019 inducted five of the sports legends into immortality. When you stroll through the Hall and walk around Glory Road you see classic race cars displayed. The pathway winds upward next to a ribbon of asphalt upon which automobiles from every era of NASCAR sit. As you arrive at the 3rd level and take a right-hand turn you enter the Hall of Honor. There the images of every member of the hall stare back at you. Forever embossed for fans of the sport to pay tribute to. The “cat in the hat”, Jack Roush, is the winningest car owner across all three NASCAR premier series with 322 victories. Know for constantly wearing his straw “Fedora” in the garage and trackside. Reportedly to avoid offending multiple sponsors requesting he be seen in their logo caps. Gentleman Jack is the type of individual the Hall was created for. A popular addition to the edifice, his likeness will remain a frequently visited stop for NASCAR fans. Two of Roush’s driver’s Ricky Stenhouse Jr. and Mark Martin introduced and inducted Jack. In a feat that will likely never be repeated, Alan Kulwicki won the 1992 NASCAR Championship as a single car team where the driver was also the team owner. Remembered for his “Polish victory lap.” After capturing a win, Alan would grab the checkered flag and drive the wrong way around the track saluting the fans. Sadly, the year after winning the Cup Championship Alan perished in a plane crash. Leaving the sport at too young of an age. Matt Kenseth and Felix Sabates introduced and inducted Alan into the Hall. Former crew chiefs Paul Andrews and Tony Gibson, along with Kulwicki’s hauler driver Peter Jellen accepted on behalf of Alan. Another young man who left us too soon. 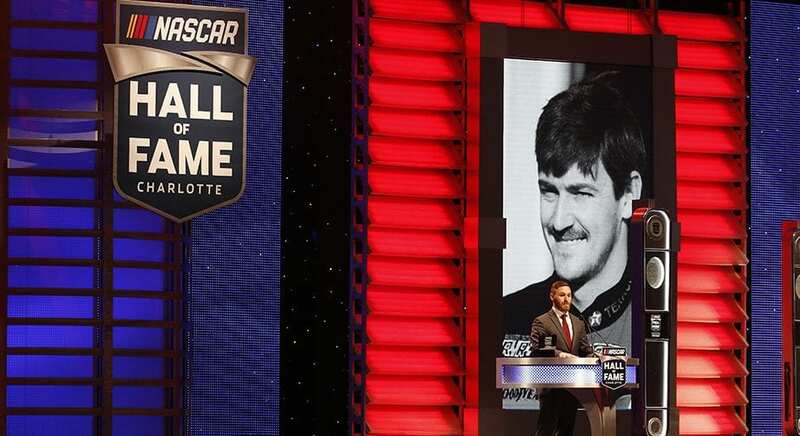 Davey Allison joined his father Bobbie as a member of NASCAR’s Hall of Fame. The black #28 Texaco Ford will be forever linked to the youngest member of “The Alabama Gang.” The 19 wins Allison earned on the Cup circuit are but a fraction of what could have been. Regan Smith and Matt Crafton along with Davey’s son Robbie Allison introduced and inducted Allison. Liz Allison, Davey’s wife, and their daughter Krista Allison Sheinfeld accepted on his behalf. Some might argue “The Captains” induction was long overdue. 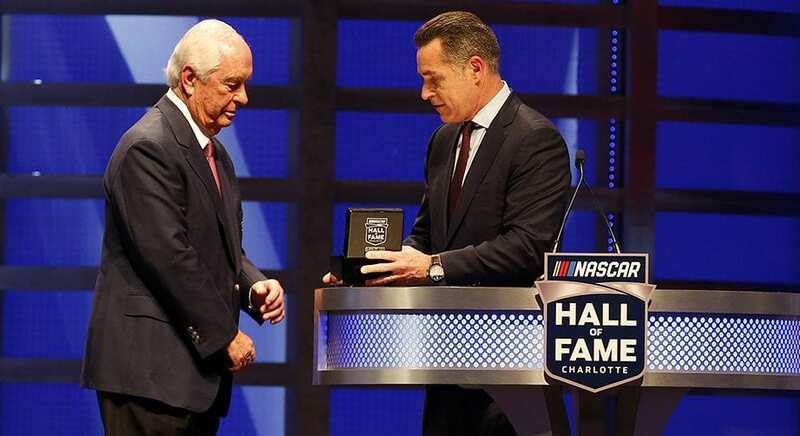 But, after the year Team Penske had in 2018 it’s fitting Roger Penske received the honor. Team Penske scored their 500th victory across all racing series they participate in. Brad Keselowski gave Penske his first win in the Brickyard 400 after so much success at the track in the Indy 500. Joey Logano brought the second Monster Energy NASCAR Cup Series Championship to Team Penske with his victory at Homestead Miami Speedway in November. The win also provided Ford their first Cup Championship in 18 years. Jay Leno introduced Roger. Driver’s Joey Logano, Ryan Blaney, and Brad Keselowski paid tribute to Penske’s NASCAR successes. 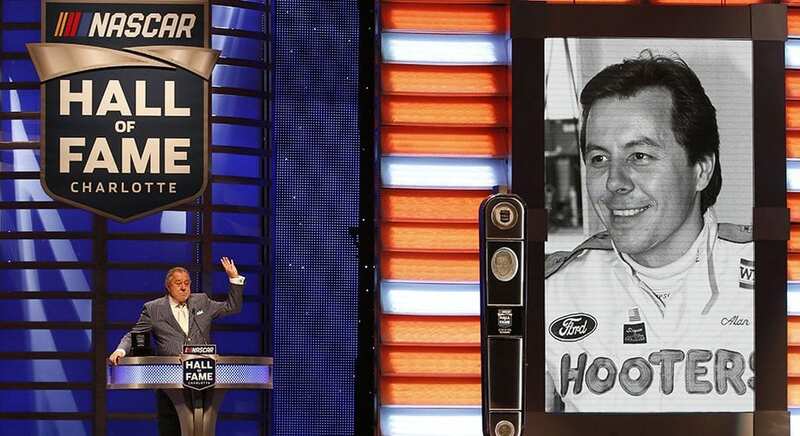 Roger’s son Greg Penske inducted his father into the Hall. Elected in his first year of eligibility, Jeff Gordon belongs in the Hall. The third winningest driver in the history of NASCAR left an indelible mark on the series. A five-time winner of the Brickyard 400, Jeff’s career led NASCAR through their most successful era. Gordon won the Daytona 500 three-times and the Cup Series Championship four-times while accumulating 93 victories in his Cup Career. Kyle Larson introduced Jeff. His team owner Rick Hendrick along with Jeff’s children Ella and Leo inducted Jeff into the Hall. NASCAR Vice Chairman Mike Helton bestowed the Landmark Award upon Jim Hunter. Former Darlington Raceway president and NASCAR executive Jim Hunter became involved in the sport working as a Journalist for the Atlanta Journal-Constitution. 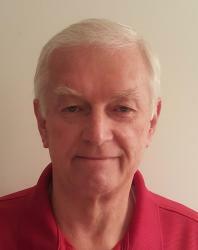 He joined NASCAR in 1983 as vice president of administration. He oversaw operations at Darlington Raceway as President from 1993 to 2001. Then returned to the NASCAR headquarters in Daytona Beach, Fla., to lead their expanded public relations effort. Hunter’s three grandsons accepted the award on his behalf. 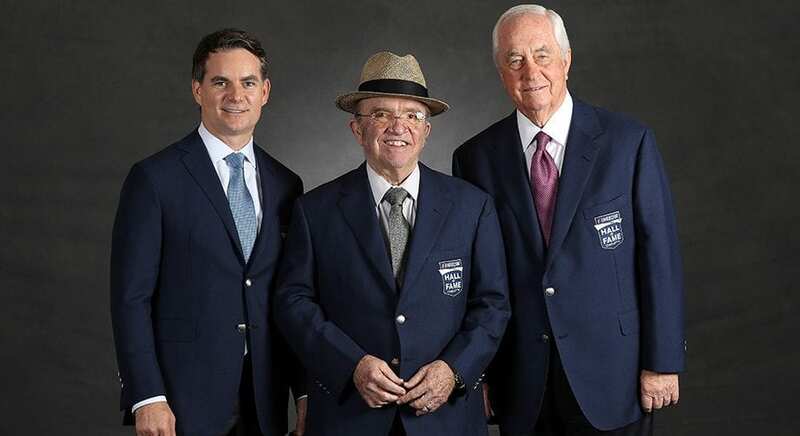 Named after Ken Squire and Barney Hall, the Squire-Hall Award recognizes NASCAR Media Excellence. It was presented to former National Motorsport Press Association President Steve Waid who has covered NASCAR for over 50 years. Waid has been previously recognized with the George Cunningham Award as NMPA Writer of the Year and the Henry T. McLemore Award for outstanding lifetime contributions to motorsports. 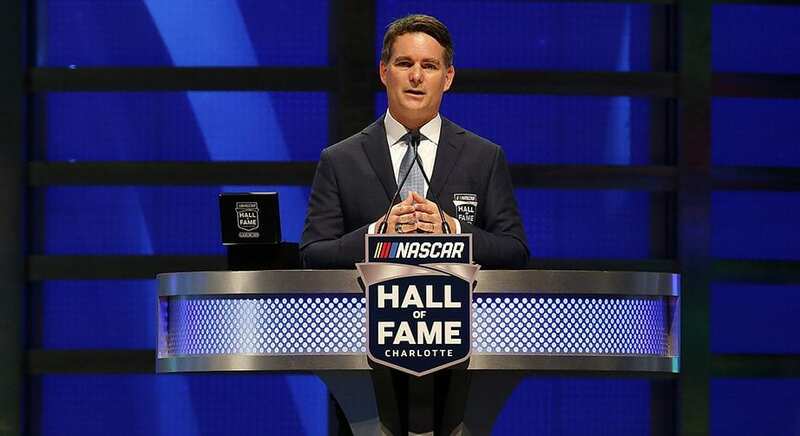 The 2019 Induction Ceremonies, held Feb 1, 2019, at The NASCAR Hall of Fame, brings the total number of inductees to 50. The Hall is located at 400 East Martin Luther King Jr. Blvd. in downtown Charlotte. The Hall of Fame is open daily 10 am to 5 pm, closed on Tuesdays.